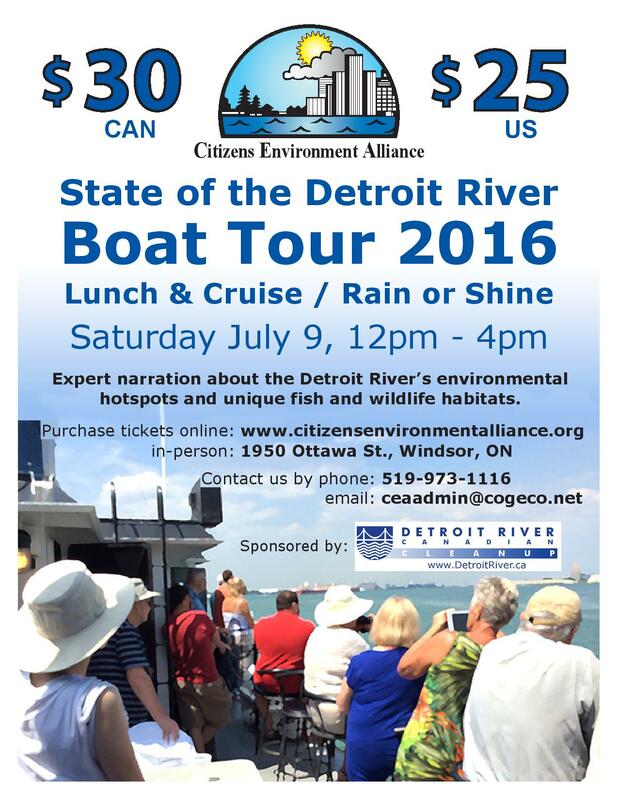 July 9, 2016: noon-4:00 p.m. – Expert narration about the Detroit River’s environmental hot spots and unique fish and wildlife habitats. This is an excellent opportunity to see why we must continue to value this special river and do what we can to protect it. For more information or to purchase tickets, visit http://www.citizensenvironmentalliance.org/.